Not everybody is the 9 to 5 type. If you’ve been looking for a career that allows you to be social and sleep in each morning, consider bartending. Event hosts hire a bartender in Fort Myers for all types of reasons. Attending bartending school provides plenty of benefits for you. When you go to school to learn how to mix the perfect drink, you avoid the hassle of having to start at the bottom of the tier at the bar. People who don’t take classes often begin as a bar back before working their way up to serving drinks and eventually, making them. Schooling allows you to jump right to the fun part. Bartending is part skill and part talent. While you can’t learn talent, attending a school ensures you have the skill that people look for when they hire a bartender in Fort Myers. You’ll learn how to mix classics such as Long Island Iced Teas as well as plenty of unique cocktails that range from fun and casual to elegant evening drinks. Learning to make drinks on the job means you’ll learn from the resident bartender, who may or may not have the professional skills that you hope to acquire. By attending a school, you can be sure that you’re learning how to tend bar from experienced professionals who have made their careers by mixing drinks. Of course, the hours and money are big benefits. Many schools offer evening classes so that students can still attend college or work a day job while they learn how to mix drinks. Once you graduate from the courses, your skills will make it easier for you to stand out, and potentially earn more than a bartender who is learning on the job. By attending bartending school, you’ll make yourself stand out and find it easier to find the type of job you hope for. 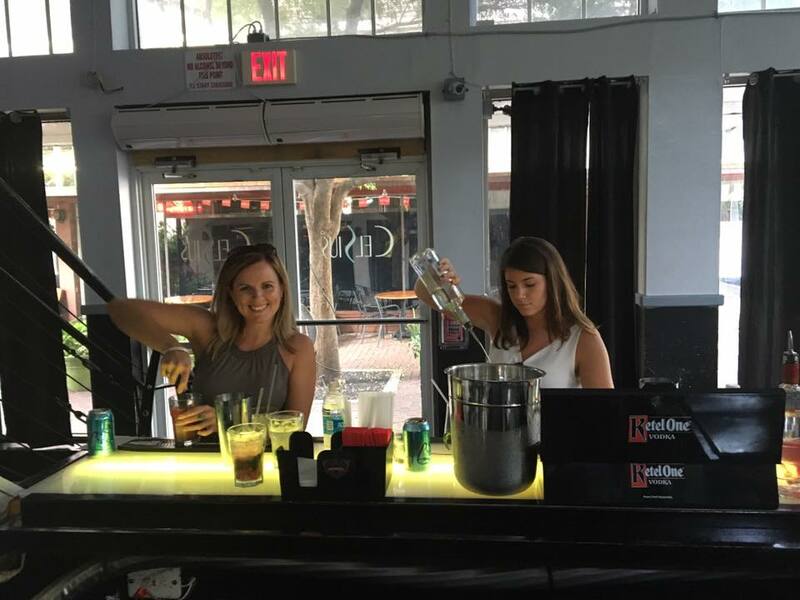 Elite Bartending School and Event Staffing not only teaches you the ropes, but can help put you in touch with people who want to hire a bartender in Fort Myers after you graduate. To find out more, contact us directly at (239) 900-6701 or fill out our online form.